The Walking Dead Season 1 triggered the most exciting episode in Telltale’s history – but as anybody who’s played it will tell you, the best episodes tend to leave you with a reduced cast. Former bossman Dave Grossman departed in the Summer to take up a more family-friendly job, and co-founder Dan Connors is stepping down this week. That leaves current president Kevin Bruner to oversee Minecraft: Story Mode, Game of Thrones and Tales from the Borderlands as CEO. 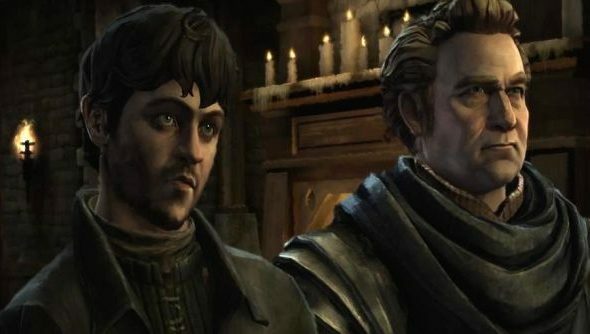 Telltale are growing at a heck of a rate these days – Talltale, anyone? – and now number over 200 staff. They’re going to face a struggle to protect their standards and studio culture – but it doesn’t seem like anybody needs to tell Bruner that. “Our top priority is to continue fostering an environment where the most talented and creative storytellers in the industry are working side by side with the world’s biggest creative partners,” he said. Former CEO Dan Connors will stay on as an executive advisor, requesting endless revisions of Guybrush Threepwood’s quiff. Presumably. Bruner took the opportunity to talk up some “unannounced partnerships”, as well as new, unbranded ideas from inside the studio. But Minecraft: Story Mode remains the most intriguing prospect on their books – a narrative experience for a game allergic to lore. How do you think they’re going to do it?